Well, it’s almost a circle, this gorgeous tulip. And it does come with its own bee. And I’m sure everyone who has had fun with March squares in squares and circles in squares will want to say a big ‘hurrah’ and thank you to BeckyB for keeping us so alert and amused with this challenge even as she’s moved between two countries and not been very well. Not only has it been fun, this challenge has also opened my eyes to the quite surprising compositional dynamic of the square format. Laura (at Eljaygee) and I have been having a bit of chat about this. If you go to her post linked here you can see a range of photos that she feels have been given new life by applying a square crop. It’s all fascinating stuff, and anything that makes you LOOK with fresh eyes is always a bonus. Six Word Saturday Debbie has also been doing some fine squares so I’m also linking to her 6WS – another challenge that keeps us thinking as well as viewing. 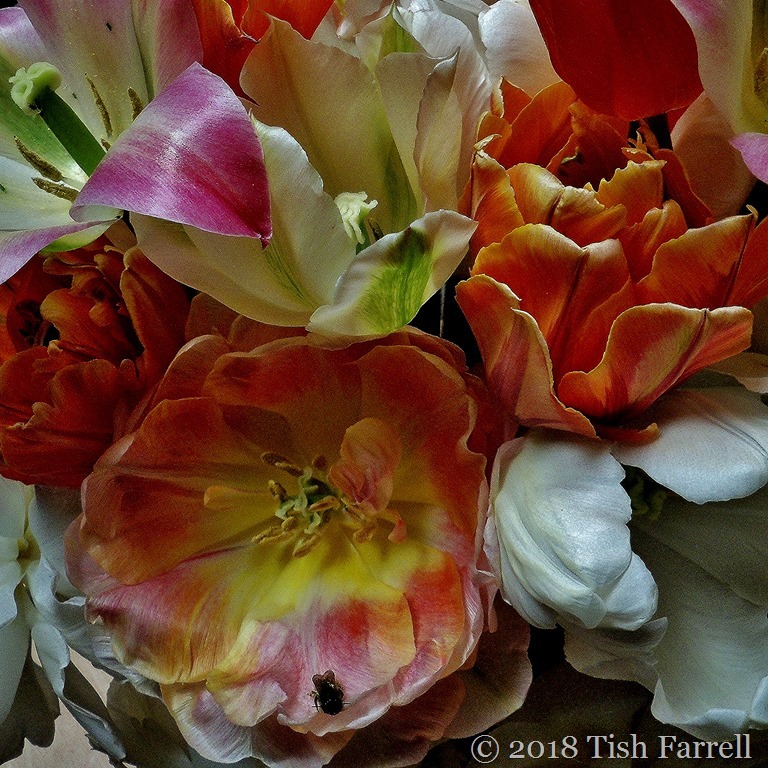 Posted on March 31, 2018 by Tish Farrell	This entry was posted in photography and tagged #6WS, #MarchSquare, #SixWordSaturday, bee, Tish Farrell Writer, tulips. Bookmark the permalink. So glad you’ve enjoyed the challenge as much as I have, and it has certainly made me look through the lens differently. Do hope you can come back in June! And this time, so will I!! What wonderful idea Tish. A gorgeous image and a very kind gesture. What a lovely thought, Tish 🙂 🙂 Becky really deserves it. I’ll pop over to Laura’s while I remember. Gorgeous bouquet. Your new blog theme is gorgeous too. 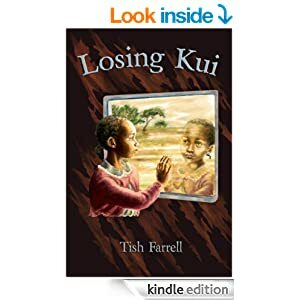 The perfect floral gift for Easter, Tish! So glad you think so Peter. Happy Easter. Interesting re: square crop! Those are delicious-looking tulips. I love the warm tone: it looks like a Dutch master oil painting – especially with the bee! Came across the tulips in a bookshop, and also thought Dutch master. They said ‘snap me, snap me’, so I did. The bee is definitely a bonus. I only have a few leaf tips so far. A beautiful and exciting square. Wishing you and all our friends a very happy Easter. So lovely. The square format is fun to work with. Thanks, Julie. I’m wanting to do them all the time now.